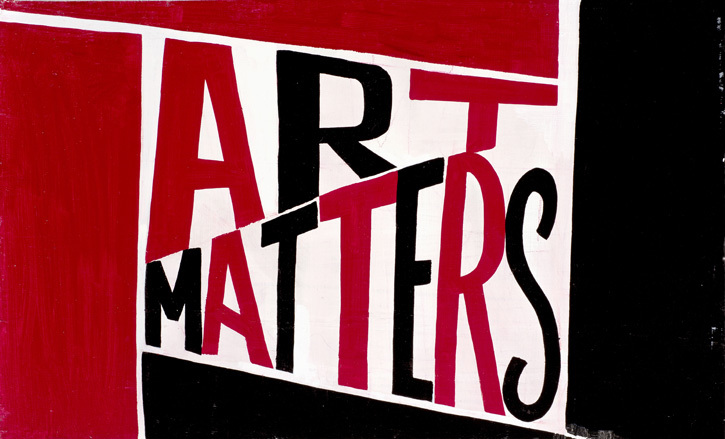 'Art matters' is a pretty simple vision. 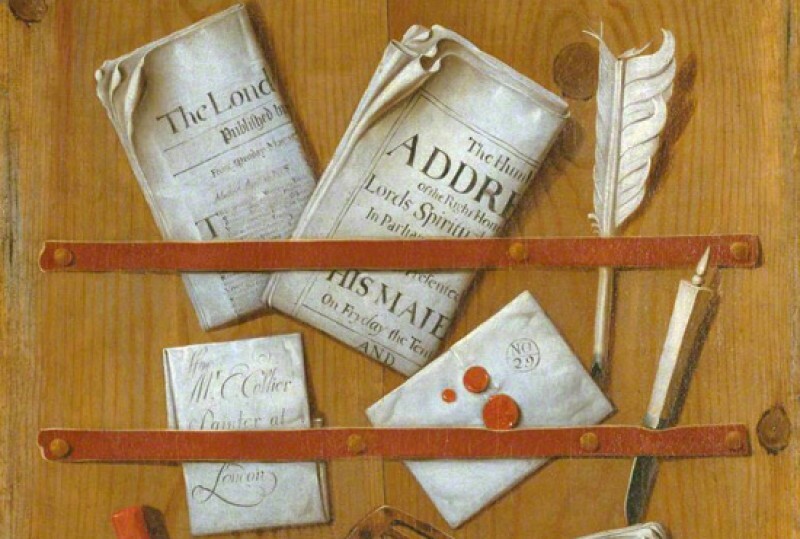 It's a vision that underpins all of Art UK's work – providing free digital access to over 220,000 artworks, from over 3,500 collections across the nation. It’s a powerful sentiment and one that's clearly close to Bob and Roberta's heart. He turned up in the office one day with this message committed to paint and generously donated the artwork to Art UK. Now the painting has been adapted to create a small exclusive run of 50 limited-edition signed screenprints. 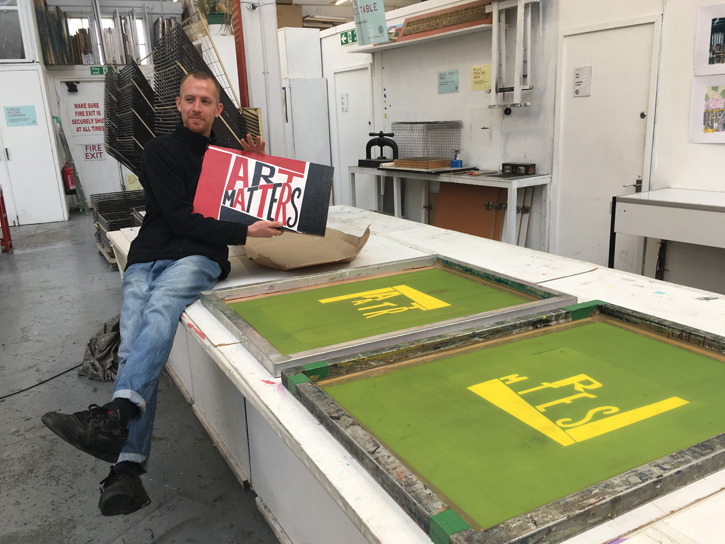 These screenprints have been hand printed at Bob’s print studio of choice, Art Hub studios CIC – a non-profit, Community Interest Company that has been running artists studios in South East London for over 20 years. Based across two sites in Deptford and Woolwich, it’s dedicated to supporting artists at all stages of their career, by offering a range of services – the main focus being affordable artist studios. Bob and Roberta has generously waived his commission for this print in order that all the profits can go towards Art UK's work. The prints are individually signed and numbered by the artist, and are now available for sale in the Art UK Shop. Art matters. We think you'll agree that it's a sentiment worth shouting from the rooftops! Buy your limited-edition signed print today. 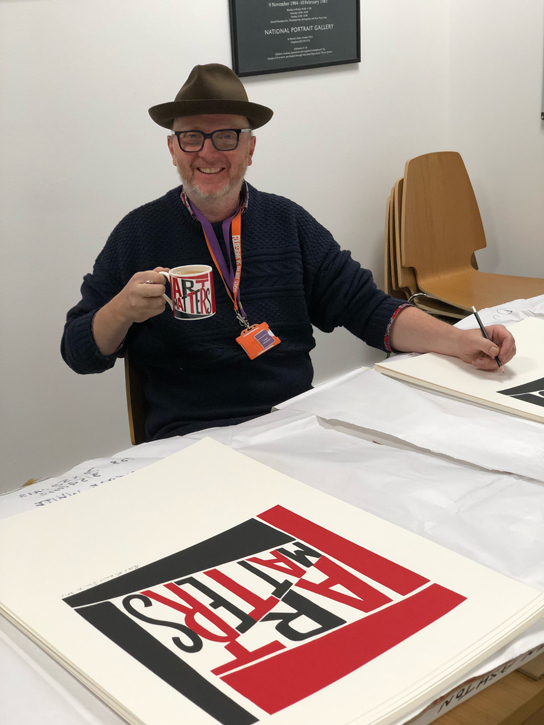 As well as prints, you can also proudly display your conviction that Art Matters with an exclusive range, featuring tote bags, mugs and more.